U.L. Classified Class 350 - 1 Hour Fire Rating. 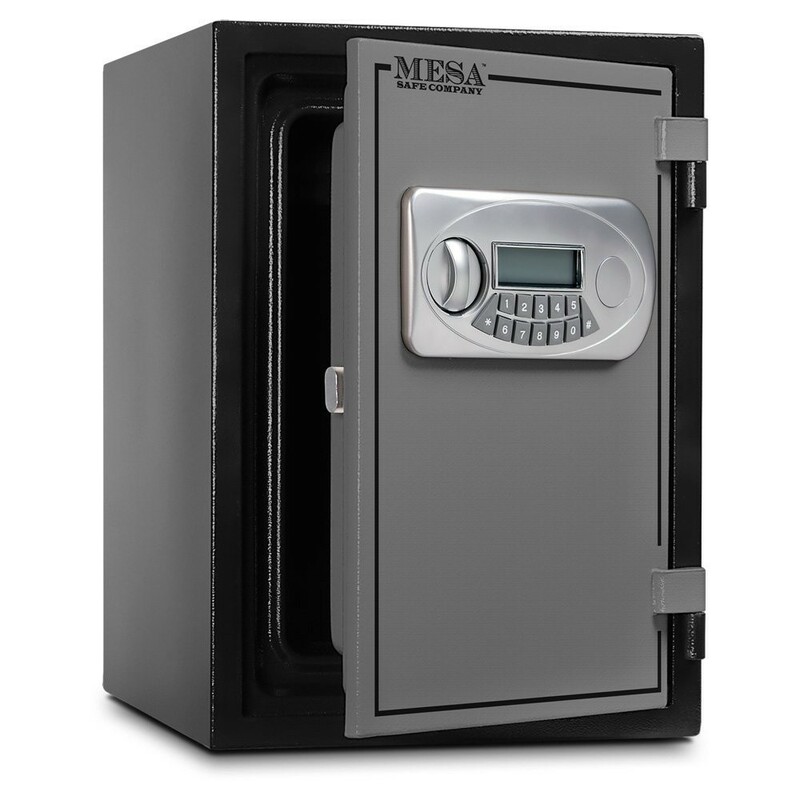 MESA fire rated safes offer the best protection available in today’s market and give you the perfect amount of storage for your home or business needs. Our products undergo rigorous fire testing from independent Underwriters Laboratory (UL) and have a 1 hour fire rating. The impact rating will give you real peace of mind that your contents are protected against virtually any extreme circumstances. Our safes feature an electronic lock (battery operated), which has 1 manager code and 4 user codes available. For increased security, there is a multiple invalid code defense feature, and all codes can be easily removed or replaced. Constructed with solid steel, you can relax knowing you’re not only protected from fire, but from theft as well. The heavy duty door has an overall thickness of 4” and the body has an overall thickness of 3.5”, both of which enclose fire resistant material. Unlike our competitors, absolutely no plastic is used in construction. Furthermore, high strength adjustable/removable shelves are included with select models, as well as an interior key locking drawer. 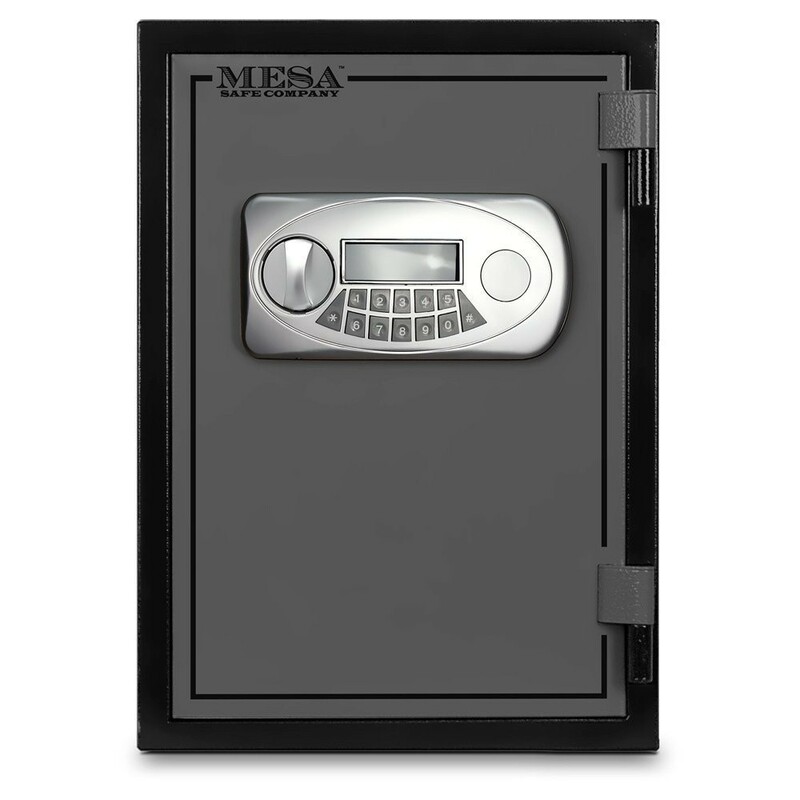 Protect your valuables from the effects of fire and theft with a MESA safe today. 1 Hour fire rating: U.L. Classified class 350. Body has an overall thickness of 2.5in.